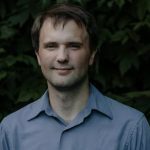 Will Carlson — founder and owner of Carlson Consulting, LLC — is a certified QuickBooks Online and Desktop Proadvisor providing bookkeeping and business consulting services in Burlington, Vermont. He also offers accounting services, IT consulting, as well as QuickBooks setup, training, and support. Work For Carlson Consulting, LLC? Claim This Page.